Most of our courses include crew packs. Some of the specialties will require classroom, pool and open water dives which are included in the price also. Gear rental is extra as needed. Questions feel free to call us at 1 780 438-1218. Send us any questions you have about the Altitude Diving specialty. Send us any questions you have about the AWARE Coral Reef specialty. Send us any questions you have about the Boat Diver specialty. Send us any questions you have about the Deep Diving specialty. Send us any questions you have about the Digital Underwater Photography specialty. Send us any questions you have about the Diver Propulsion Vehicle specialty. Send us any questions you have about the Drift Suit specialty. Send us any questions you have about the Dry Suit specialty. Send us any questions you have about the Emergency Oxygen Provider specialty. Send us any questions you have about the Enriched Air Diver specialty. Send us any questions you have about the Equipment Specialists specialty. Send us any questions you have about the Fish Identification specialty. Send us any questions you have about the Ice Diver specialty. 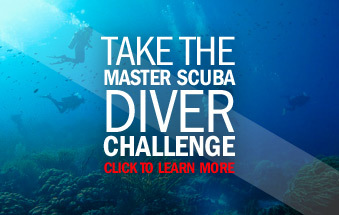 Send us any questions you have about the Multilevel Diver specialty. Send us any questions you have about the Night Diver specialty. Send us any questions you have about the Peak Performance Bouyancy specialty. Send us any questions you have about the Project Aware specialty. Send us any questions you have about the Searh & Recovery specialty. Send us any questions you have about the Underwater Naturalist specialty. Send us any questions you have about the Underwater Navigator specialty. Send us any questions you have about the Underwater Videographer specialty. Send us any questions you have about the Wreck Diver specialty.